The Naples Florida housing market remains strong during the holiday season, with record growth in sales prices coupled with a low inventory. Rents are rising at a much faster pace than listing prices, and in most areas it is cheaper to rent than own. Interest rates are still at historic lows but are projected to rise in 2016. Even with an increase of 50 basis points (4.05% to 4.55%) monthly payments will average 6% higher. That can effect loan eligibility which is based upon income to debt ratio. There is less competition for properties during the holidays: fewer buyers and many will not buy within a few months, but within the coming year. 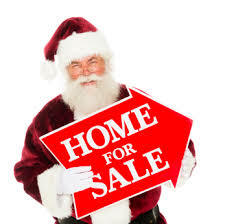 Sellers that have their homes for sale during the holidays are also serious and are motivated. If you can close by December 31st, you can add tax savings by deducting home purchase costs, property tax and points, while you build equity.